Laid down, 19 November 1944, as a Maritime Commission type (EC2-S-C1) hull, under Maritime Commission contract (MCE hull 3092) at New England Shipbuilding Corp., South Portland, ME. Decommissioned, 22 June 1946, at Orange, TX. 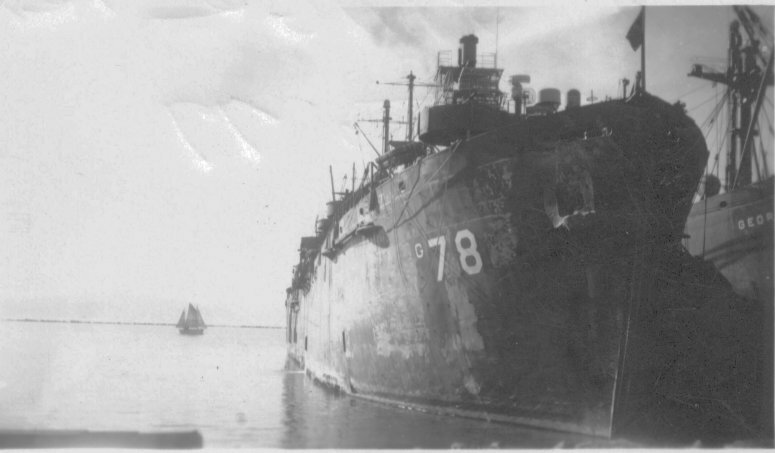 141k Kent Island (AG-78) at anchor in San Francisco Bay circa December 1945. 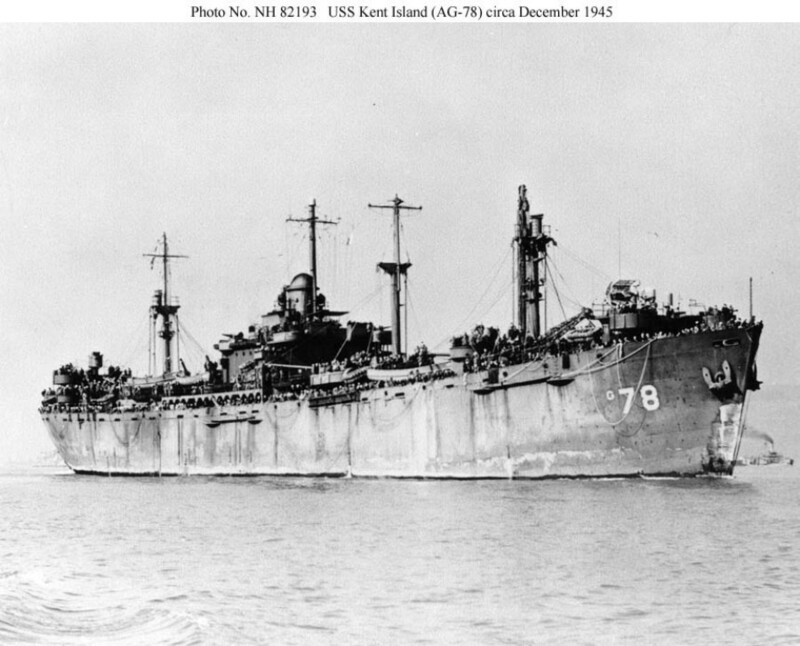 The ship made one troop carrying voyage to Okinawa before proceeding to the east coast in January 1946 and arriving at Orange, Texas, 15 March 1946, to begin decommissioning.